Closed the sale of multiple REO properties throughout the state. 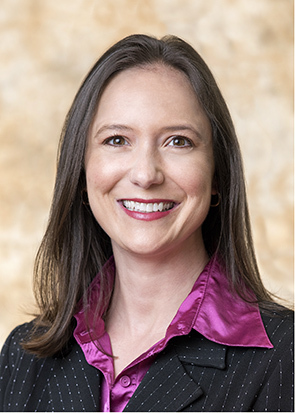 Mary-Beth is Counsel in the firm's Creditors' Rights & Bankruptcy practice group where she represents banks and special servicers in loan servicing, commercial foreclosures, forbearance agreements, workouts, receiverships, and lender liability. Mary-Beth also represents lenders and borrowers in loan documentation for complex transactions. Her experience includes commercial mortgages, construction loans, bridge loans, mezzanine lending, and revolving credit facilities. She has advised major financial institutions in transactions involving office buildings, mixed-use projects, warehouse and industrial sites and multi-family properties. Mary-Beth’s real estate practice offers an interdisciplinary approach to handling both transactional and litigation matters. She represents lenders, Commercial Mortgage-Backed Securities (CMBS) special servicers, REITS, private investors, property owner associations, contractors, and public and private companies, among others. Mary-Beth has deep market knowledge of the real estate industry and has extensive experience with a broad range of real estate transactions including leasing and financing (both borrower and lender representation). Her multifaceted understanding of the commercial real estate markets, coupled with her common sense business acumen, allows her to work collaboratively with clients to evaluate, develop and implement their real estate goals.